Camp Perry - National Guard facility near Port Clinton, Ohio containing the largest rifle range in the world. Site, since 1912 of the NRA's national rifle matches. Also, in its honor, the name of a model of Colt .22LR single shot target pistol. 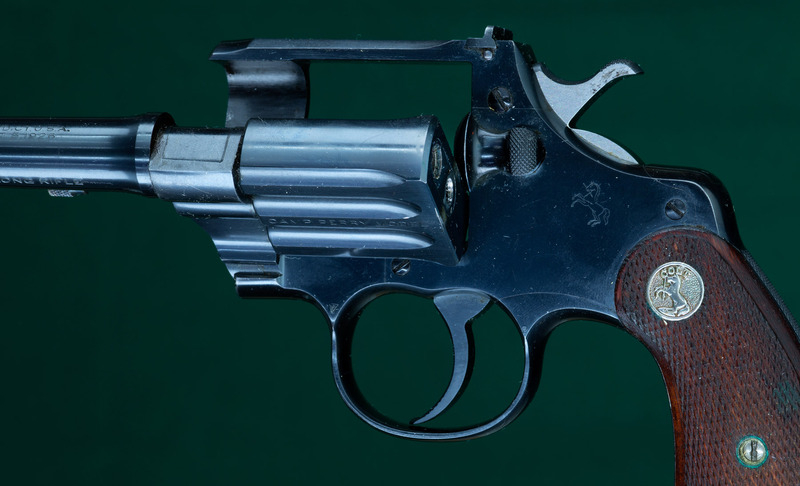 The Colt Camp Perry Model, of which 2425 examples were built between 1926 and 1941, had a revolver-type frame and a barrel running fully through the swing-out "cylinder" to the breech face, completely obviating a revolver's potential problems of pressure loss and of cylinder misalignment.